In the morning we pick you up in an air-conditioned vehicle and move to the Accra location of your choice. 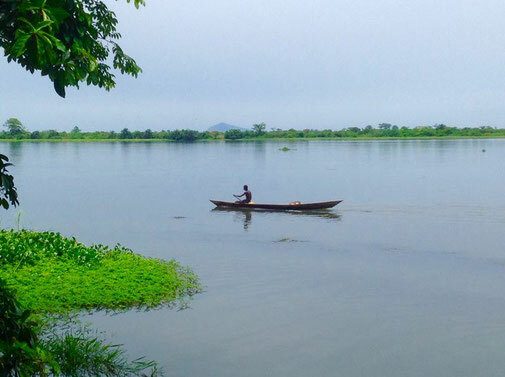 Start your day with a visit of the Assin Manso Slave River. This river is where captured slaves from the Northern part of Ghana had their last bath before being transported to the Americas. We continue to the home village of our founder, a typical Ghanaian village close to Cape Coast where you will be welcomed by the elders. 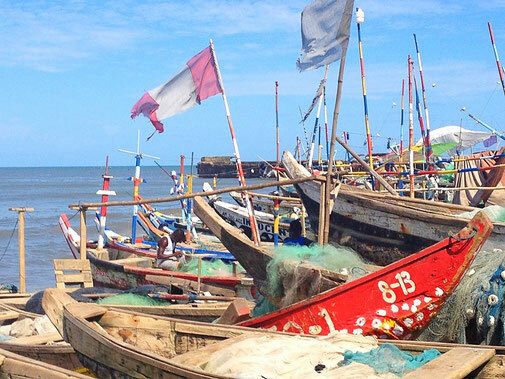 Get an introduction to local cuisine by the family and enjoy a Ghanaian lunch together. Later you will be guided to the cocoa plantation, which is the main source of income for the village population. Finally we will visit the school project before dropping you at the location of your choice in Accra. Start the day in an air-conditioned vehicle at your choice of Accra location, before moving onto a scenic drive through the Accra plains towards the Volta River. Visit Shai Hills early in the morning to spend some time watching the local wildlife, like baboons! Complete a relaxing boat ride on the Volta River and pass by a typical Ghanaian village on an island. Continue to visit Tsenku Falls in the Dodowa Forest. After about a 45 minute hike in the forest, you will come to a beautiful waterfall which drops from a height of about 250 feet. Finish at the location of your choice in Accra. Begin your day at the Accra location of your choice in one of our air-conditioned vehicles. We will start with a climb to the top of the old lighthouse near James Fort in Jamestown - enjoy a great view of the city and the busy and colourful fishing harbour. Wander through the Kwame Nkrumah Mausoleum, and you will be stunned by the story of the founder of modern Ghana. Visit the W.E.B. DuBois Centre and Independence Square to find out more about the history of the Gold Coast, the Afro-American and the Trans-Atlantic Slave Trade. Experience the busy Makola Market, a renowned market place and shopping district in the centre of the city of Accra. Finally we will take you to the Arts Centre, where you can discover beautiful local handmade crafts. 7 bridges & tree tops at 40m height. Take a picture in the Crocodile Sanctuary that crocodiles and turtles inhabit together with a range of birds. 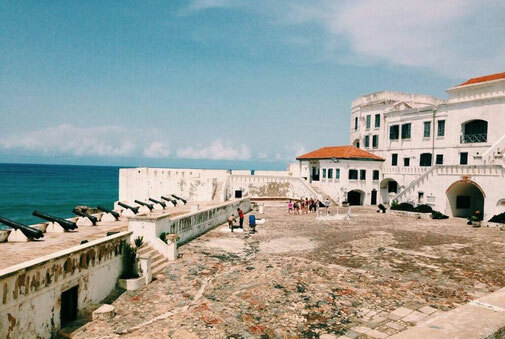 In the afternoon find out more about the slave trade history of Ghana by visiting Cape Coast Castle, which is the largest of the castles besides Elimina Castle, built by European powers in former colonial times. Finally, enjoy a walk along the beautiful beach before returning to the location of your choice in Accra. After a three hour drive in our air-conditioned vehicle, visit the Kakum National Park. Enjoy the view from the Canopy Walkway over 7 bridges & tree tops at 40m height. Take a picture in the Crocodile Sanctuary where crocodiles and turtles live together with different species of birds. In the afternoon, learn more about the slave trade history of Ghana and visit Cape Coast Castle, built by European powers in former times. Finally, enjoy a walk at the beautiful beach before spending the night in a beach hotel. Day 2: Continue your journey to the hometown of our founder Enock, a typical Ghanaian village. Visit the Slave River and a shrine on your way and learn about the history and traditions of the area. 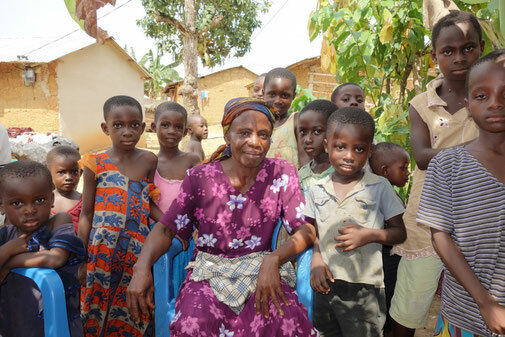 Within a one hour drive we will arrive in the village and you will be welcomed by Enock´s family. After enjoying a delicious Ghanaian lunch together, you will be guided to the cocoa plantation, the main source of income for the village. Wander around the area and get a taste of village life in Ghana far away from the busy city life of Accra. 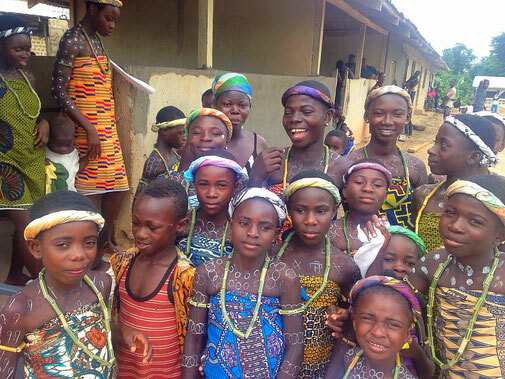 Before departure to Accra we will take you to our school project to get a taste of the educational system in Ghana. 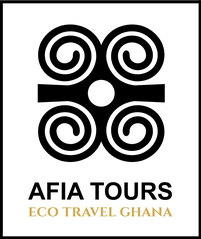 Complete the trip at a location of your choice in Accra.